Kick off the holiday season with blue lights. The use of blue has been our family tradition for years. This Christmas mini lights set has 100 bulbs spaced 2.5 inches apart. Each set is approximately 21 feet long and you can connect up to 5 sets in series (maximum). There is a 4 inch head and tail wire between the first and last lights and the male and female plugs. Because these lights are on white wire, they are a good choice for wrapping white columns with blue lights. If your wedding colors are blue, swagging them with white organza makes a wonderful accent for the head and guest book tables. decorating for superhero birthday parties. 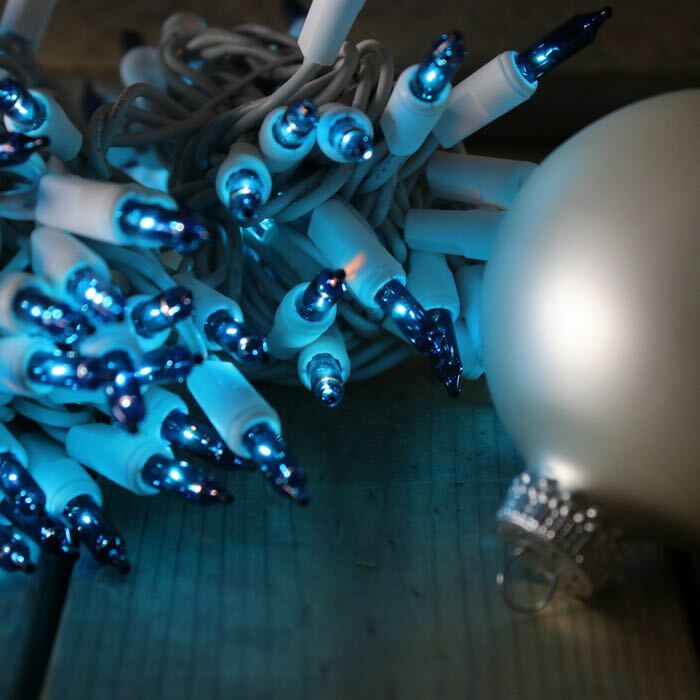 Each bulb is double dipped for richer, fuller color and these lights are a traditional "Christmas" blue color. Light order arrived within 3 days of the order placement. Well before the expected date. Order was just as advertised and we were very pleased with the product and service!